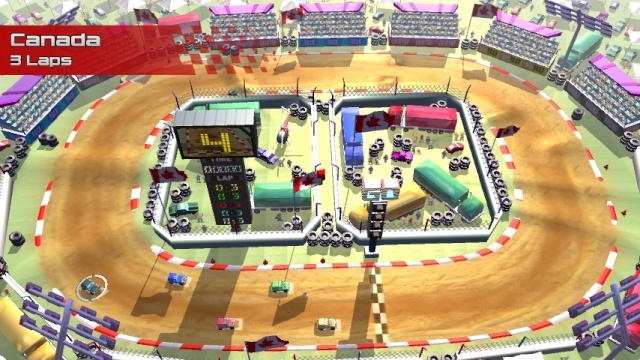 Clearly inspired by classics such as Super Offroad, Rock 'N Racing: Offroad is a classic top-down racing title that had potential, but fails to live up to it. The game features a decent amount of tracks separated into several cups and while the gameplay is reasonably decent, the tracks are horribly designed and it's easy to get lost on the more technical tracks. The controls are a little wonky and can be annoying at times, but we wouldn't exactly call them broken. The Off-TV-Play on the other-hand works superbly with this game! The rubber-band A.I. is also a problem and will likely ruin most players days with miraculous come from behind victories being commonplace. Graphically the game looks nice with shiny HD visuals and classic N64 era graphics. It won't impress most gamers, but it does look pretty good. The Music won't rock your world, but it does fit the game well enough. 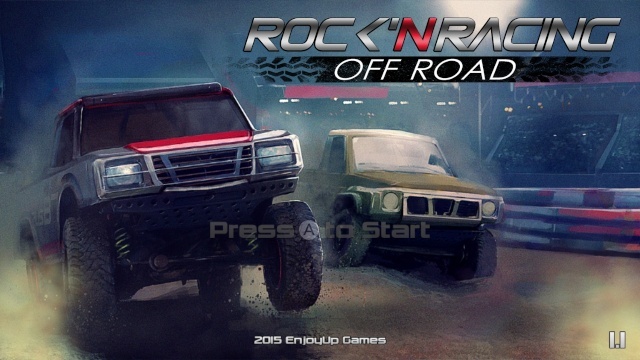 With decent gameplay and audio-visual presentation Rock 'N Racing: Offroad had potential to be a solid title, but poorly designed tracks and wonky controls have essentially ruined the experience. We don't really recommend this title. The only good game EnjoyUp ever published was La-Mulana in North America and Europe.